Load up on character. Scale back on fuss. 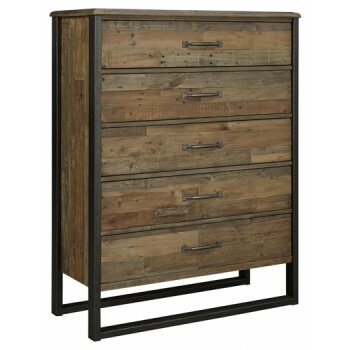 As this 5-drawer chest proves to perfection—less is more. Crafted of reclaimed pine, its ultra clean-lined, chunky profile showcases long butcher-block planking rich with tonal variation, nicks, notches, nail holes and a whole lot of raw beauty. The drawers offer ample room for a wardrobe. Metal leg brackets add a modern touch for a unique look.